To understand Melchizedek’s identity, we must let the Bible interpret the Bible. We have already seen that Jesus Christ is the mediator between God and man. His willing sacrifice for our sins uniquely qualified Him for this crucial role. Yet the preexistent Word also prefigured this sacred office during the time of the Hebrew patriarch Abraham. 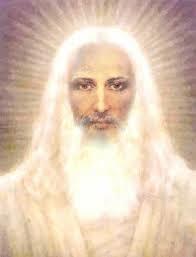 He did so in the person of Melchizedek, priest of the Most High God. The book of Genesis only briefly mentions this mysterious person. But King David, and especially the New Testament book of Hebrews, does not miss His deep significance. To understand Melchizedek’s identity, we must let the Bible interpret the Bible. Around 2,000 years later, Jesus addressed the Father as “Lord of heaven and earth.” Psalm 110, one of David’s psalms, is one of the most theologically significant. As pointed out in an earlier chapter of this booklet, it features both the Father and the Word in the opening verse: “The Lord said to my [David’s] Lord, ‘Sit at My right hand . . .'” It is Christ who now resides at the Father’s right hand (Hebrews 8:1; Hebrews 10:12; Hebrews 12:2). Keeping the general context of Psalm 110:1in mind, notice Psalm 110:4: “The Lord has sworn and will not relent, ‘You are a priest forever according to the order of Melchizedek. '” This is the same Lord who spoke to David’s Lord (the preexistent Word) in Psalm 110:1, still speaking to the same Being. This certainly helps to indicate the identity of this mysterious Old Testament personage. Yet it is the book of Hebrews that gives us the strongest evidence. Hebrews’ commentary on Melchizedek So important is this basic subject that one entire New Testament chapter is devoted to explaining the significance of just three verses in the book of Genesis. The topic is introduced in the last verse of Hebrews 6. The writer points out that Jesus has become “High Priest forever according to the order of Melchizedek,” as King David foretold so long ago in Psalm 110. Then in Hebrews 7, the author goes on to consider the amazing attributes and qualities of God’s high priest of old. “For this Melchizedek, king of Salem, . . . first being translated ‘king of righteousness,’ and then also king of Salem, meaning ‘king of peace,’ . . . remains a priest continually” (Hebrews 7:1-3). Consider that Melchizedek means “King of Righteousness.” It would essentially be blasphemy to apply this title to any human being because “all have sinned and fall short of the glory of God” (Romans 3:23). Only a divine Being would appropriately bear this awesome title. Says The New Bible Commentary: Revised: “Note that Scripture pictures him [Melchizedek] as one who is a king as well as a priest . The combination of these two offices was to be a distinguishing characteristic of the Messiah” (1970, p. 1203, emphasis in original). Melchizedek’s next awesome title is “King of Peace.” Of course, fallible human beings simply do not know the way to peace (Romans 3:10, Romans 3:17), and to apply such a title to any man would, again, be virtually blasphemous. Jesus Christ Himself is the Prince of Peace (Isaiah 9:6). “Like the Son of God” The equation between these two great personages becomes clearer as we read on in Hebrews 7. Hebrews 7:3 describes Melchizedek as being “without father, without mother, without genealogy, having neither beginning of days nor end of life, but made like the Son of God, [and one who] remains a priest continually.” His priesthood never ceased! The only priest who could possibly have fit these qualifications was the preexistent Word, the great Being who was on hand before the very creation itself (John 1:1). Finally, the phrase “made like the Son of God” (“bearing the likeness of the Son of God,” REB) is further strong evidence of Melchizedek’s identity. He was “like” the Son of God because He was not yet, in actuality, the Son of God—that is, until He was later begotten by God the Father through the agency of the Holy Spirit. Melchizedek couldn’t have been the Father because he was the “priest of the Most High God.” He could only have been the eternal, preexistent Word who later became Jesus Christ, the Son of God. From The United Church of God web page. Thank you so much for the wisdom that was shared in this reading. It was perfect divine timing that the message was about the true meaning of Christmas. Love, listening, lending a hand, being there for one another and being conscious. Loved this one!!! !